How did I get so lucky to fall in the grace of your love in these times of such confusion in the world? Prem Debal, the times of confusion and chaos are the greatest times to live in. When the society is static there is not much to live for, to live with. When a society is secure and there is no confusion and there is no chaos, then people live a dull, drab, dragging life – comfortable, convenient, stable, but not alive. It is only in the times of chaos and confusion that great things happen, because people are loose. They are loose, uprooted: they can search for new soils, they can search for new lands, they can search for new countries, they can search for new continents of being. This is one of the greatest moments in the history of human consciousness. It has never been so; this is a crescendo. Buddha said – and he seems to have detected it richly – that after each twenty-five centuries there comes a moment of great turmoil and chaos. And that is the time when the greatest number of people become enlightened. Now twenty-five centuries have passed since Buddha. Again you are coming closer and closer to a moment where the past will lose all meaning. When the past loses ll meaning, you are free, you are untethered from the past: you can use this freedom to grow tremendously, to grow to undreamed-of heights. But you can destroy yourself too. If you are not intelligent, the confusion, the chaos, will destroy you. Millions will be destroyed – because of their unintelligence, not because of the chaos. They will be destroyed because they will not be able to find a secure and comfortable and convenient life, as was possible in the past. They will not be able to find where they belong. They will have to live from their own sources; they will have to be individuals, they will have to be rebels. The society is disappearing, the family is disappearing; now it is very difficult. Unless you are capable of being an individual it is going to be difficult to live. Only individuals will survive. Now people who have become too accustomed to slavery, accustomed to being commanded, accustomed to being ordered by somebody else – people who have become too much accustomed to father-figures – they will be in a state of insanity. But that is their fault, it is not the fault of the times. The times are beautiful, because the times of chaos are the times of revolution. It is possible now to get out of the wheel of life and death more easily than it has been possible for twenty-five centuries since Buddha. In Buddha’s time, many people became enlightened; the society was in a turmoil. Again it is happening. Great times are ahead – prepare for them. And that’s what I am trying to do here. Orthodox people cannot understand what is happening here; they have no eyes to see it and no heart to feel it. They only have old rotten values, and they go on judging me according to those values. Those values are out of date. I am creating new people, I am creating new values, I am creating a new future. They live in the past; they cannot understand the future that I am trying to bring here to the earth. My sannyasins don’t belong to the past, they don’t represent any tradition. They belong to the future: they belong to something that is going to happen and has not yet happened. Hence there are no criteria – they cannot be judged easily, and they will be misunderstood. I am going to be misunderstood, because people have their values, and those values come from the past. And I am trying to create a space for the future to happen. You say: How did I get so lucky to fall in the grace of your love in these times of such confusion in the world? It is not a question of luck, it is a question of intelligence. That is the only luck in the world – intelligence. And remember, everybody is born with intelligence but people don’t use it, because to be intelligent is to live in danger. The intelligent child will be a constant pain in the neck for the parents; they try to crush his intelligence. Nobody wants an intelligent child, because he creates suspicions in you, he creates doubts in you. An intelligent child asks questions you cannot answer. An intelligent child is a problem for the teachers in the school, in the college, in the university. An intelligent person will always remain a problem, wherever he is. So the society tries in every way to destroy your intelligence. The teacher told the students that they were going to play a game. “I’ve got something behind my back and I’m going to describe it and you guess what it is,” she said. “An apple?” little Herbie said. “An orange?” little Herbie said. Now, these intelligent children cannot be allowed to live! Nobody likes an intelligent person. Hence people start playing unintelligent roles in life, because an unintelligent person is accepted everywhere. That’s why millions of people have become mediocre. Nobody is born mediocre, let me remind you. God gives intelligence to everybody; just as he gives life to everybody, he gives intelligence. Intelligence is an intrinsic part of life. Have you ever seen an unintelligent animal? Have you ever seen an unintelligent bird, an unintelligent tree? Every tree is intelligent enough to find the source of water to send out roots. And you will be surprised; scientists are very much surprised, at how trees find places. When a tree starts sending out its roots, sometimes it sends them hundreds of feet away in a particular direction to where water is. Now, how does it find it? The water is a hundred feet away towards the north: it does not send its roots towards the south, it sends its roots towards the north – a hundred feet away! And not only to natural water sources – sometimes it sends its roots to the pipes, corporation pipes, hundreds of feet away; it detects them. It takes years for it to send out those roots. It lives, in its own way, an intelligent life. If there is too much competition, trees grow higher; they have to. That’s why in the jungles of Africa, trees grow very high. The same trees in India won’t grow that high; there is no need, the competition is not so much. In thick forests if the tree remains small it will die; it will be in the shadow of other trees. It has to reach the sun: it goes on and on moving upwards. Trees are intelligent in their own way, birds are intelligent in their own way, animals are intelligent in their own way. And so is man. You will find the mediocre and the stupid only in human beings. I have never come across a stupid dog – I have tried – but there are millions of stupid human beings. What has happened to human beings? Intelligence is not allowed. The whole society and the pattern of the society is against intelligence; it supports mediocre people. Everybody is happy with a mediocre person, because whenever you are around a mediocre person he is never a problem; he is always ready to be obedient, and he always gives you a feeling that you are superior. If people live intelligently, everybody will be lucky. If you are not lucky, it is not that God has been unfair to you; it is only because you have compromised with the society. Debal, you could come to me because you have been courageous enough to use your intelligence. It is not a question of luck; it is only a question of guts, courage. And these days are really beautiful, fantastic. Use these days, these times: you can soar high, higher than has ever been possible before. Millions of people are in the situation now where enlightenment can happen. We can defeat Buddha for the first time. The times are very favorable, because there is so much chaos and so much confusion, and all the old ideologies are dead and dying of their own accord. Man is becoming free, coming out of his shell. 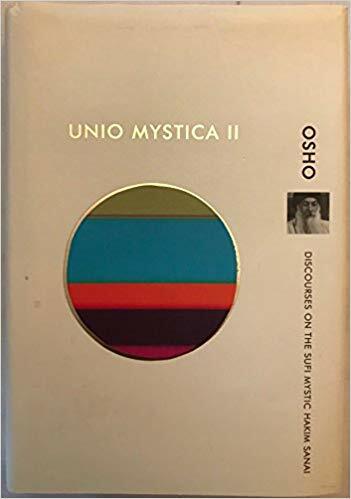 Many of Osho’s books are available online from Amazon.com and in the U.S. from Viha Osho Book Distributors. These comments are for the followers who are fooled by the false gurus. The man did not live what he preached. Therefore, it’s all lies and vanity, all self. You promulgate the man as if he was enlightened and he fooled the lovely people who were looking for guidance. Yes, all is perfect, even the lies and the liar. The language of the man (If it was him, not one of his coterie), is full of nonsense and clear evidence of a lack of true discernment and clarity. Of course, what I write will not be heard by any of the idiots that still follow a corrupt, sexual, drug-taking, petty-minded megalomaniac. By the grace of God, the ignorance that he was has been burnt in the fire of love, hell, purgatory and the true love that he is, is in the whole. You who continue to fool yourselves and the people are lost in the same dream he accuses the world of. Truth is not a game. It has consequences in eternity. What is it that you think Osho preached but did not live? You don’t seem to know that much about Osho because you are questioning whether the words are from Osho or from his “coterie.” But anyone who has spent time with or has read his books or has watched his videos knows that these words are from Osho speaking in front of hundreds of listeners. All of them are recorded on audio and many on video. You are welcome to your own opinions but not your own facts. cheers! You need to watch the documentary on Netflix. See how he manipulates his workers, how he abuses them, how he swears and denounces the woman who made him, loved him. You will not hear. You have not suffered enough. You are a dreamer. Thank you for the suggestion. In fact I Have watched the Wild Wild Country but even more important, I lived in Wild Wild Country so I know from my own experience. I still am waiting for the answer from you as to what you think Osho preached but did not live. I wonder which books you have read of Osho’s. Perhaps you have seen some videos. Do you know anyone personally who has lived in his communities? This might be a good time for you to explore a little more deeper. You can find hundreds of posts on this blog for you to dive into. If you go in with an open mind and put aside any preconceived ideas you might find yourself surprised. Cheers! I think that to exist at all we must be fooled by something otherwise we wont be here. What is God, truth? what is eternity? Can the personal mind capture eternity and still have an ego to deal with worldly affairs? with family and friends? To my understanding realizing eternity, one must dig his own personal grave, bury his/her last remnants, and be done with the self and disappear for ever from the face of existence as someone or somebody, never to reaper, done and gone for ever and ever. But those who got stuck here or anywhere in existence arguing about enlightenment are fooling themselves for something and bound by that thing to bring it about but they ´ll never will. So important in these times to appreciate the chaos for the openings it brings. Love and gratitude!